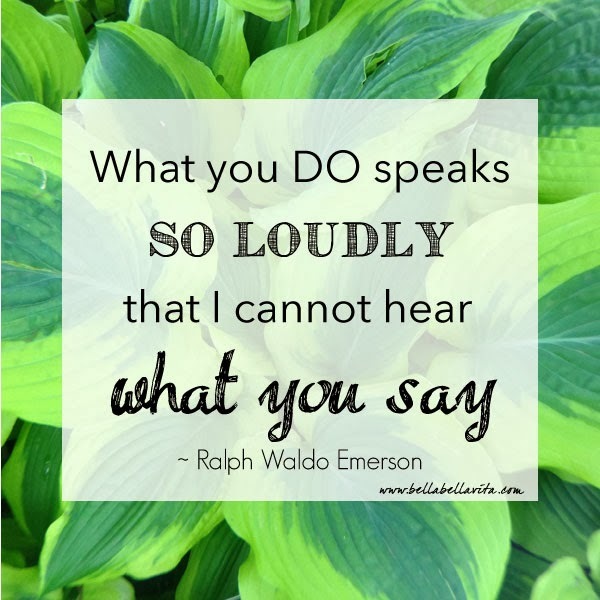 I love this quote from Ralph Waldo Emerson ... what you DO truly does speak louder than anything that you say. Making sure that our words are aligned with our actions is not an easy task. Too often, our actions can contradict what we say and we may not even be aware of it. Great reminder to practice mindfulness as we interact with others.